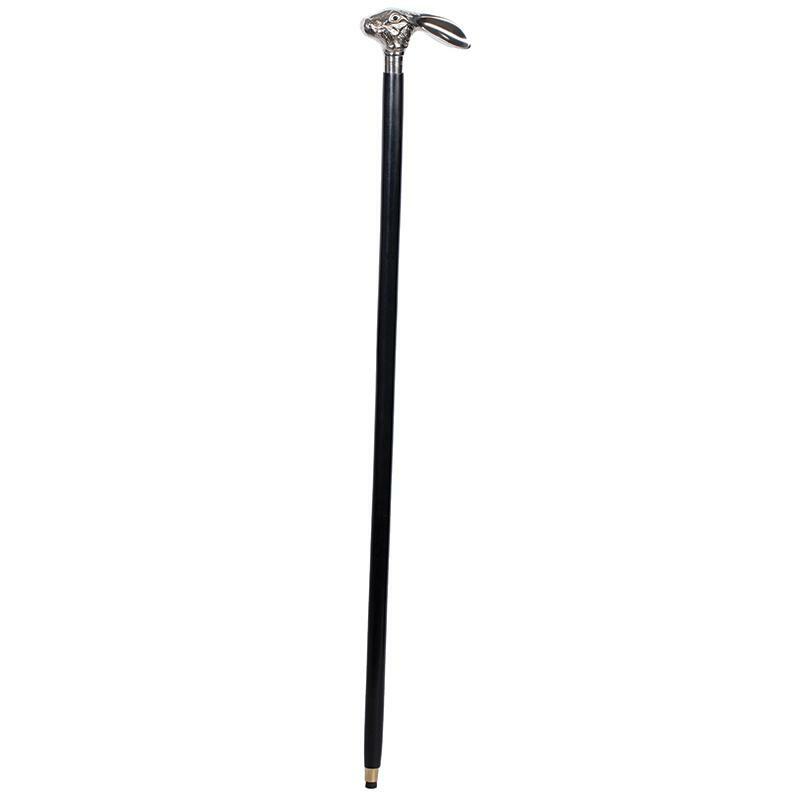 This is a very attractive, sturdy and well made walking stick. The rabbit head is much nicer in real life and is made of stribg metal (brass that has been made silver in color) and not resin like a lot of imitations. I am very pleased with it. It gets a lot of attention, and I have ordered two additional canes in other styles. Great deal for the price too! It began with monarchs and presidents, but by the start of the 20th century every gentleman worthy of the name carried a walking stick. Today, these refined accessories are beloved by collectors and can easily fetch tens of thousands of dollars, with the decorative handles being the biggest draw and adding the most value. Increasingly, these canes are also returning to public life, with the longing for a more civilized age. The 36" Hinwick Hare Walking Stick was designed, created and crafted in the style of those ornamental, collectible canes, but built to be used every day. The black lacquer-finished wooden body is sleek and stylish, and once you grip it you'll understand that this is no hollow imitation. 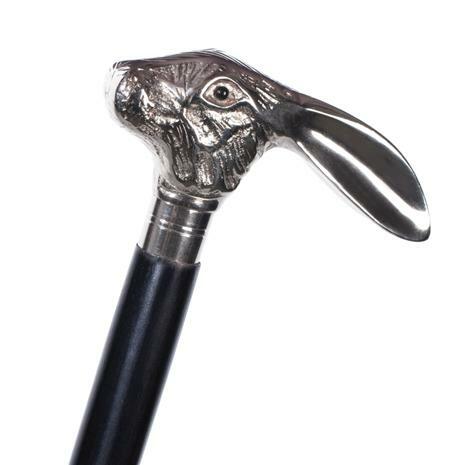 Envious onlookers' attention will be drawn to the carefully crafted handle, where a silver-finished hare's head design sits proudly and alertly. The intricacies of fine metalwork render the hare's head in striking detail, and make this beauty look like it belongs behind glass.